While bounce rate doesn't actually affect your SEO, it does affect your conversion rates, and how likely visitors are to come back. 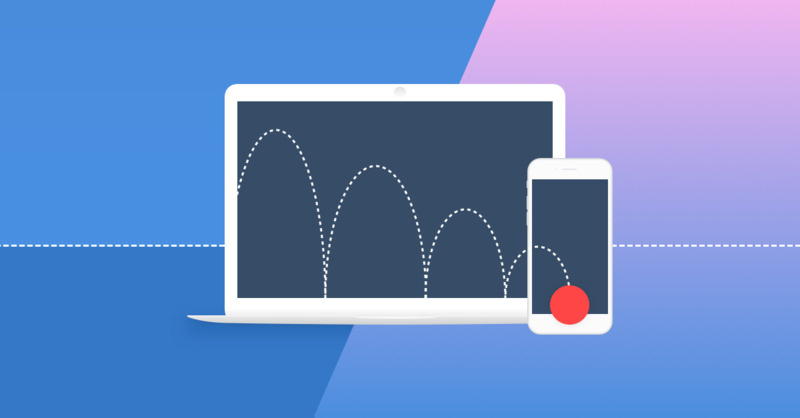 See how to better understand bounce rate and similar metrics, and how to dramatically improve your site's conversion rates. User engagement metrics – what people do on your website - have become increasingly important in recent years. How users behave affects your conversions rates, of course, but they can also affect how much search engine traffic your site gets. 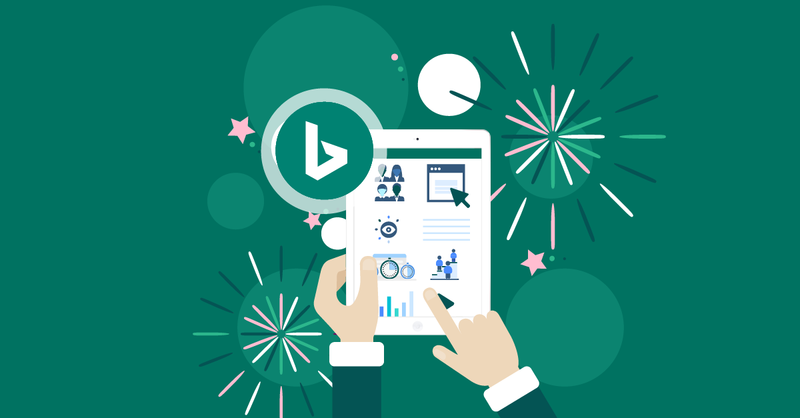 If Google (or Bing) discerns that users aren’t engaging with your site, those search engines will send fewer people to it. The search engines do this because how much people engage with your site affects their businesses, too. It’s a search engine’s job to serve up the best possible result for every query. If they can see (and they do see) people arrive on your pages and then leave immediately, that’s a sign of a website that’s not delivering what the user expected. It’s a red flag for Google: They’re offering their own users a page that doesn’t deliver on its promise. So user behavior matters. A lot. But there’s more than one way to measure it. The most common metric is bounce rate, but as we’ll see in a moment, bounce rate is not the whole story. Put plainly, bounce rate is when someone comes to your website, looks at one page, and leaves. So again – a bounce is when people come to your site and only look at one page. But this is not always a problem. Of course, we want visitors to come to our websites and stay for a very long time. 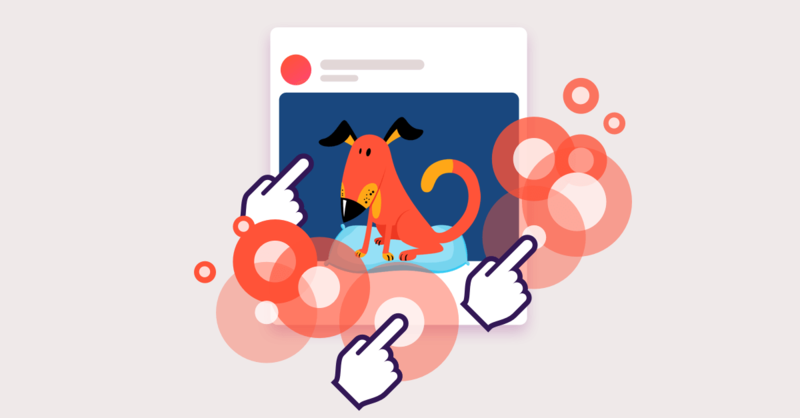 We want them to be so rapt with our content that they arrive, find something irresistible to click, and end up spending hours clicking around, filling our forms, and perhaps even placing an order. That would be great. And it would give our site a very low bounce rate. But if that doesn’t happen, it doesn’t mean our page is a failure. 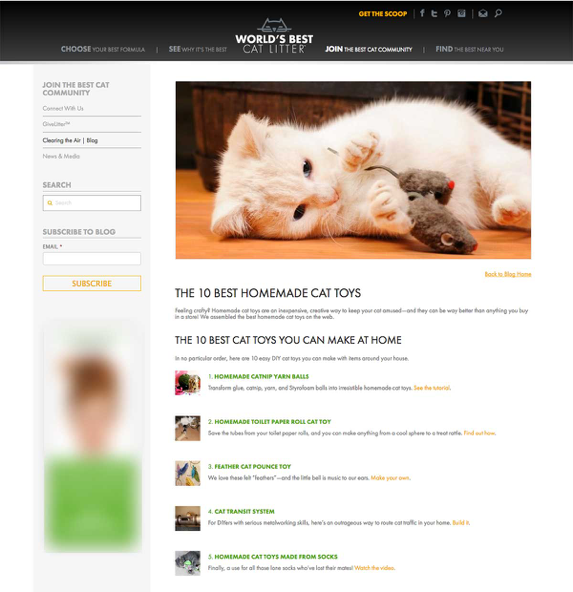 100 people arrive on a certain page of our website, to an article titled “The 10 Best Homemade Cat Toys”. On that same page, we’ve also got calls to action to read more content, to sign up for our cat string toy making class, to sign up for our newsletter, etc. Say 20 out of the 100 people who arrive on this page click one of those links on the page. This gives our page an 80% bounce rate because 80% of the people who visited never clicked through to a second page. Now… does this mean our cat toy article is bad? Perhaps we have answered the users’ queries so well that they needed no additional information. We have completely taught them how to make a cat toy. And so, happy with their complete answer, they left our site and went back to work. We still have that 80% bounce rate. But our page is hardly a failure. Just because a page has a “high” bounce rate doesn’t mean it’s a failure. In this example, we might do better to look at “dwell time” rather than bounce rate. Dwell time / Time on page is exactly what it sounds like: It measures how long people stay on each page. So for our cat toy article, dwell time would show us how long the average user stays on that particular page. This could give us a significantly better idea of what’s going on with the user’s experience. If the average time on page is 10 seconds, that means people are coming to the page, looking around, and leaving. But if time on page is 10 minutes, then we’ve got a situation where people are arriving on the page, reading darn near every word on it, and then they’re leaving. That suggests the user’s experience with the page is much better than if they only stayed for 10 seconds. It’s even better if the user doesn’t search for that phrase again. It shows Google their interest has been sated. Long sessions like this are called “long clicks” in search engine optimization circles. And long clicks are a very good thing. In addition to checking how much time visitors spend on each page and on your site in general, look at how often your search traffic visitors come back. This metric is tracked in Google Analytics as New Versus Returning Visitors. It also goes by the acronym RVR (return visitor rate). RVR is measured as a percentage, so if you get 30 of 100 visitors to come back, that’s an RVR of 30%. According to Contently, any RVR above 30% is good. Anything below 25% suggests your content needs some work. Some of you will be surprised about this. There’s been some confusion around the issue. But as this article and this even more authoritative article assert, bounce rates do not affect your site’s search engine rankings. It’s good that we can all stop panicking about how a high bounce rate might hurt our search engine rankings. But high bounce rates can mean our content is disappointing our visitors. For whatever reason, they’re not wooed enough by our site to click through to a second page. This means we’re missing out on conversions. On subscribers. And missing out on a massive chunk of website traffic. You see, if Google sends us, say, 10,000 visitors per month, and our site gets an 80% bounce rate, that means only 2,000 visitors are clicking through to other pages. For the purposes of this example, let’s say they click through to two other pages. That’s 14,000 page views a month from organic search engine traffic. Not bad, but it could be better. If our site’s bounce rate was improved to, say, 50%, we’d get 5,000 visitors clicking through to those other pages. AND when they looked at those other two pages (on average), we’d get another 10,000 page views. That’s 20,000 page views with the better bounce rate, compared to just 14,000 views with the 80% bounce rate. Even if you ignore those secondary pages people look at, a lower bounce rate means our site is generating more of all the things we want traffic for in the first place. More email subscribers. More lead generation forms. More sales. All those things can be directly tied to business results. Real money. ROI. And that’s why getting a lower bounce rate matters. 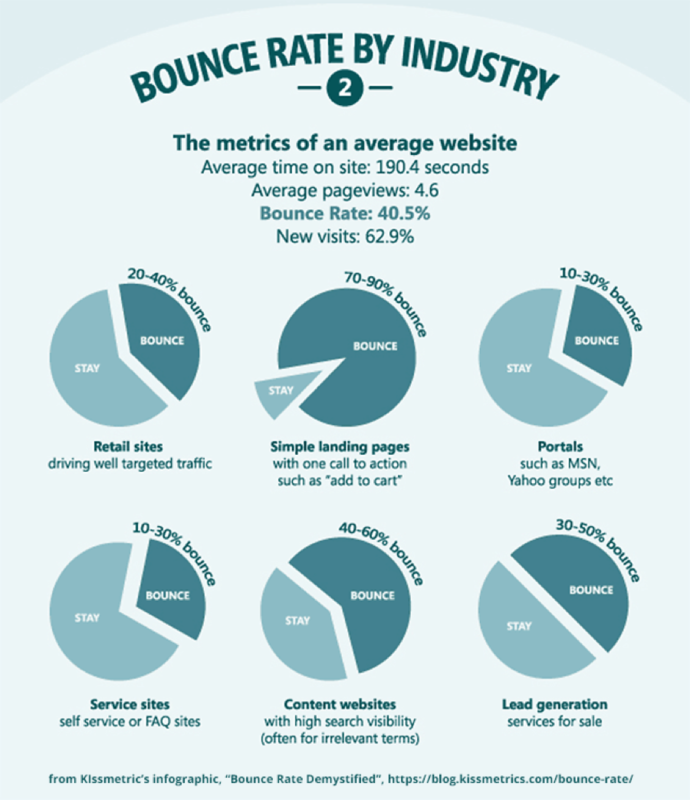 So what’s a good bounce rate? “a bounce rate in the range of 26 to 40 percent is excellent. 41 to 55 percent is roughly average. 56 to 70 percent is higher than average, but may not be cause for alarm depending on the website. Anything over 70 percent is disappointing for everything outside of blogs, news, events, etc. As you can see, bounce rates can be all over the map. Gloating over a self-service page with a 20% bounce rate would be silly, just as freaking out over a landing page with a 80% bounce rate would be silly, too. But despite all that, we always want to be improving. So even if your pages’ bounce rates (and your site’s overall bounce rate) is good, you probably want to make it better. 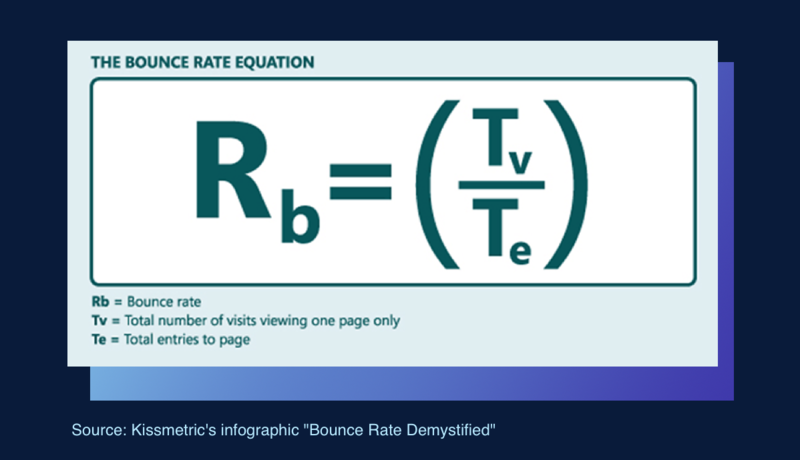 How can you reduce the bounce rates for your pages? 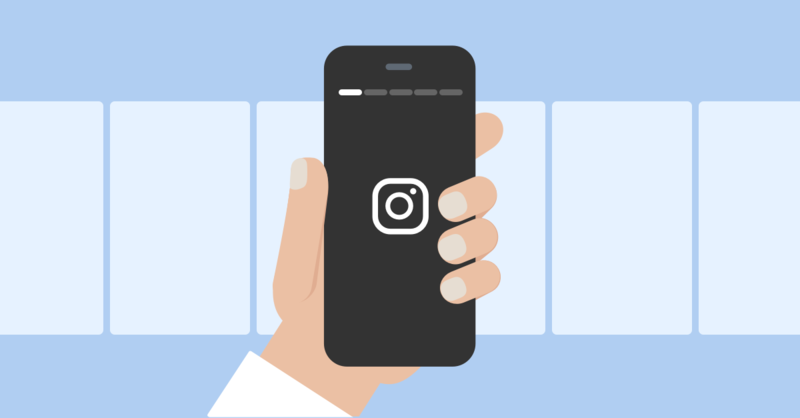 1) Optimize your calls to action. A call to action (or “CTA” as the cool kids say) is anything on your website that prompts the visitor to do something. CTAs are often buttons, but they can also be links or images. A common type of CTA is a prompt to join an email list, just like the one we’ve got in the right column of this page. Calls to action are, frankly, meant to be clicked. And so if no one is clicking on them, you’ve got a problem. The solution? Start testing. Test one element at a time, and for a long enough time to get statistically valid results (at least a week, possibly more). Slowly, your site’s conversion rates will improve. And while this is not the fastest way to slash a bounce rate, it directly affects the most meaningful actions that happen on your site. Every single blog post you publish should have a content upgrade. Every page should have an email list opt-in. Every page should have a compelling next action for the user to take. Never, ever leave your website visitors at a dead end. 2) Look to user intent. User intent is exactly what it sounds like: What did the user intend to do or get when they clicked through to this page? It’s a principle that’s become very important in search engine optimization, but more importantly, user intent speaks to how we need to align our websites to our visitors goals and needs. Often, pages with high bounces rates are not aligned with user intent. The classic examples of this are click bait headlines. People see an intriguing headline, so they click through, only to learn that the headline was kind of a tease and that the page doesn’t fulfill the headline’s promise. Disappointed, they click back. This happens in search results, too. Too often, content creators, marketers and SEO people want to optimize for keywords (or topics, the new version of keywords). And yet, when they do this sometimes they kind of bend the content around the target keyword/topic. Sometimes, they do a kind of poor job. So you end up with a page that is optimized for a certain keyword/topic, but that is really more about a different topic. This misalignment disappoints visitors, and so they leave. Voila: Your poorly-search optimized page has a high bounce rate. The solution? Use Google’s Search Console to see the phrases people are using to get to your pages. Then honestly look at those pages. Are they answering those questions, meeting those user intents? If not, fix them. 3) Give them something to click. This is less structural than the two earlier suggestions, but it will absolutely work. Basically, you just give people something irresistible to click. Like offer them a video to watch. Or give them an interactive infographic. Or offer them a quiz. Basically, offer them something more clickable than a block of text. Videos are especially good. They can both decrease a page’s bounce rate AND increase time spent on page. If you have the right software, you can even use them to generate leads. No wonder everybody’s clamoring about video. 4) Make your pages easier to scan. There’s a terrible stat about reading online. It’s that people only read about 16% of your words. This happens whether you’re a good writer or not; whether you’re writing about cute kittens or insurance policies. Generally, people just don’t read closely online. They scan. But if you make your pages look like they’re easy to scan, oddly enough… your visitors are more likely to stay (and even read a bit and click through to another page). Do those things, and people won’t feel like they’ve been hit in the face with a wall of text when they land on your website. 5) Make your pages load fast. You could have every point in this list nailed, but if your pages load slowly, your site’s bounce rate may still be too high. Why is that? Because slow pages frustrate visitors. If any page on your website takes more than 2 seconds to load, you are losing visitors. A lot of visitors. 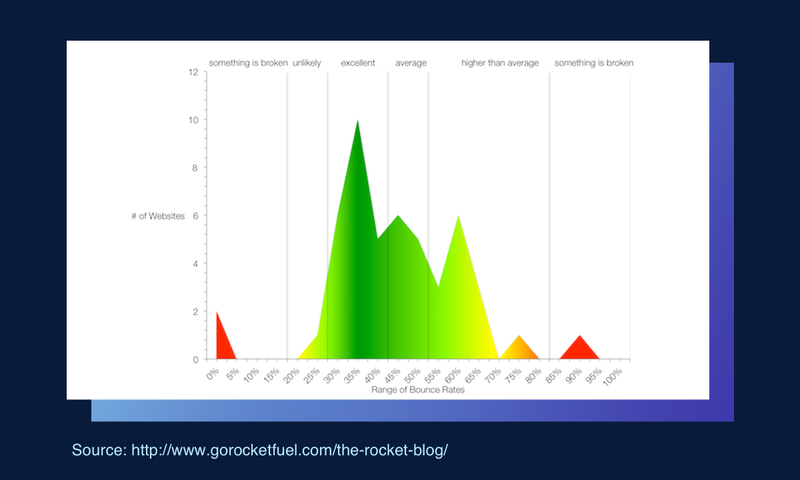 As you can see in the infographic, page load time has a big effect on bounce rate. Not sure how quickly your pages load? 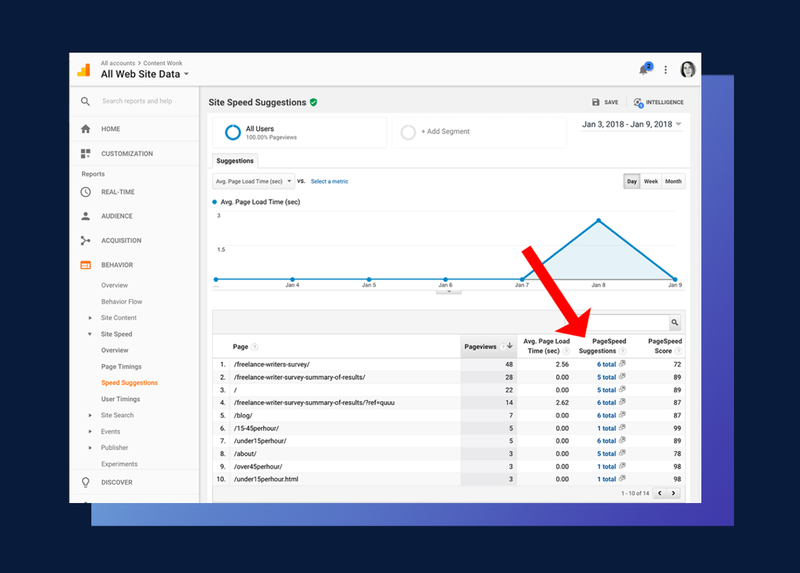 You can check page by page with Google’s PageSpeed Insights Tool. Or you can go into your Google Analytics account. Go to Behavior > Site Speed > Page Timings to see a list of the pages on your site and how they compare to the average page load time for your entire site. Because Google presents the data this way (how different each page is from your site’s average load speed), it’s easy to see which pages are especially slow – or especially fast. Of course, the next thing you’ll want to know is how to speed up your pages. Analytics has a report that will give you suggestions. You’ll see a report with each page on your site. Just click the “PageSpeed Suggestions” link and a window will pop up with the SiteSpeed tool’s report for that particular page. 6) Your pages are mobile friendly, right? I’m assuming your webpages are all super-mobile friendly. Specifically, that they’re easy to read on any mobile device, that the links easy to click and it’s easy to fill out forms, place an order, or use any other functionality. Because, um…. 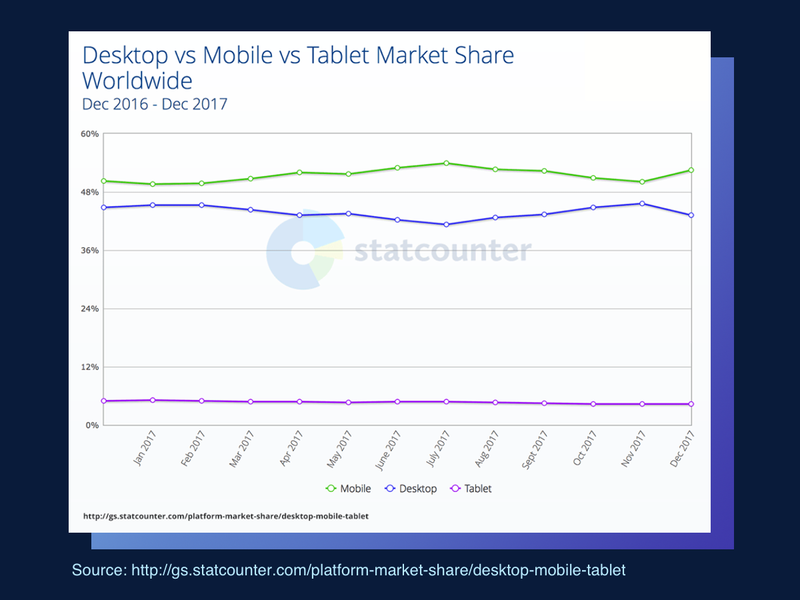 you know that there’s more traffic from mobile devices than from desktops now, right? We need to be thinking mobile first. Our pages must be mobile-friendly. If they aren’t, that can also drive visitors away in droves, thus pushing up your bounce rate. 7) Have a professional-looking site. Does your site look trustworthy? Is the design clean, and the messaging easy to understand? Does it telegraph how trustworthy it is? It better. Because people make a judgment about your site before they have time to think. There’s research that people form an opinion about websites within 0.05 seconds. Pair this with something else you probably know already – that trust is at a premium online. A site that looks untrustworthy or unprofessional will turn people away. 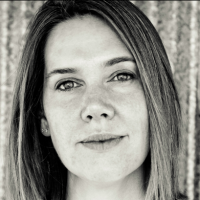 Bounce rate is important, but it’s not the whole story. It’s also a very relative measurement. So don’t obsess about getting your site’s bounce rate below 20%, much less to the “perfect” zero percent. But do strive to deliver an optimal experience for every user. Pair that goal with your business goals, and even if you never attain bounce rate perfection, you’ll still have an awesome site and happy visitors. And – hopefully - really nice profits.